Chicken is one of the most common food ingredients that almost anyone can feast on. With numerous recipes for chicken that are available, a wide range of varieties in flavor, presentation, and cooking method can be enjoyed by people of all ages. Baked chicken breast recipes are one of the highly considered when it comes to chicken dishes. Aside from the fact that it is easy to do, its preparation time doesn’t take that long. Ultimately, you can customize and experiment on how you want the dish to be prepared. Of course, when it comes to baked chicken recipes, there are some essential things that you need to consider. First, if the type of oven to use. If you still don’t have an oven or you are considering of buying one, make sure to purchase an oven that fits your budget but also has the features and functionality you are looking for. There are many amazing ovens available in the market currently and to make things easy for you, we have a list of the best ovens available in the market now. 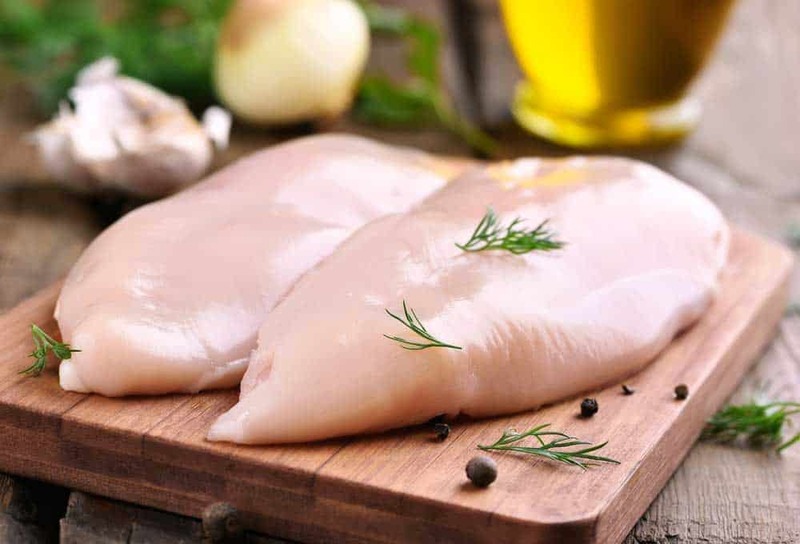 And when it comes to baked chicken breast recipes, the usual serving of chicken breast need will be around 4 to 6 skinless and boneless chicken breast halves. This will be good for 4 to 6 meals fit for the family. Meanwhile, it is best to use olive oil for baked chicken breast recipes. Not only does it add flavor to the dish, but it is also known as a healthy oil since it is packed with monounsaturated fats and antioxidants. And lastly, since you are making a baked chicken dish, choosing the best quality of chicken breast is an of utmost importance. The essential aspect to keep in mind is to consider the color and smell of the chicken to spot the fresh ones easily. Always look for the chicken that is creamy white to deep yellow and without any unpleasant odor. You also need to check for unbroken and secured packing with a sale date which determines the last date for the chicken to be sold. This will ensure that you get the fresh chicken. Chickens sold at markets are also government inspected for safety and health purposes and should have a grade A rating to indicate the best quality. *These recipes are sorted by tags. Click on the tab to find the one you need. 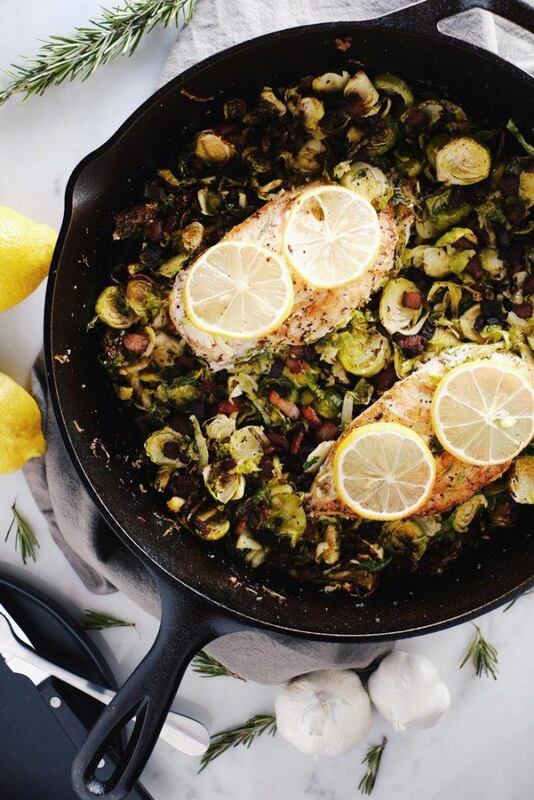 This Chicken Skillet with Bacon Brussels sprouts is a simple, one pan dish with tons of flavor. Garlic and rosemary are the perfect flavor combination to go with the chicken and savory bacon bits. It’s a healthy weeknight meal the family will love. 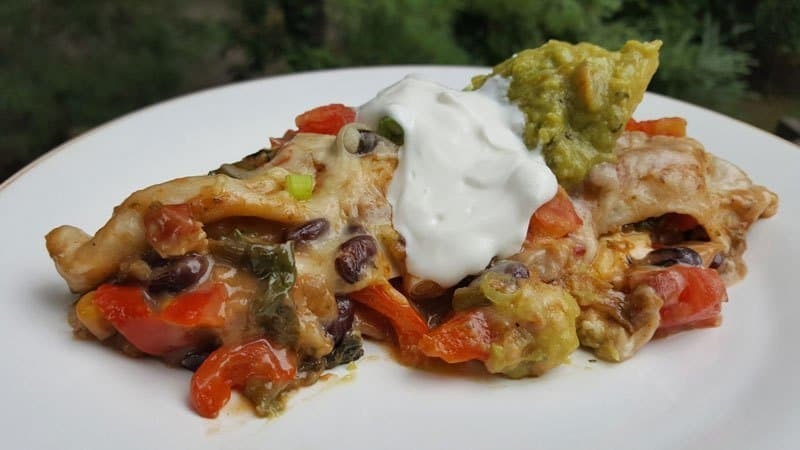 Put a little Fiesta in your dinner tonight with this Southwestern Chicken Enchilada Recipe. It’s the flavors of the Southwest, with minimal prep time and hardy portions. 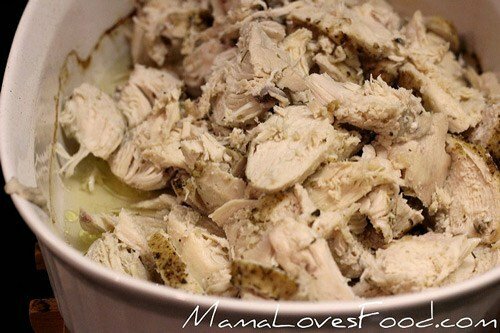 It’s perfect for leftover chicken! Broccoli stuffed chicken breast, a super simple recipe for serving in parties or in-game days. This recipe does not require any cooking skills, and the preliminary work can be done in advance to avoid any last minute mess. There is more room for customization by adding your favorite spices to the stuffing. 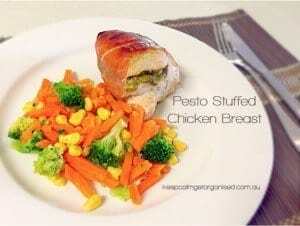 In one sentence “Broccoli stuffed chicken breast is an easy recipe to make perfect finger food for parties. If you’re a fan of EASY and ZIPPY recipes – then this is for you! Food Hussy is all about simple and easy meals and making sure they’re delicious as well. This recipe is great because you can make it as spicy as you or your family like it! Enjoy! Michele Morris is a volunteer chef educator with Cooking Matters and teaches people how to cook healthy family meals on a limited budget, but the food is anything but “cheap” tasting. Use either bone-in or boneless chicken. Bone-in will take longer to cook, but you’ll have a moister and more flavorful piece of chicken when it’s cooked. To keep it healthy, remove the skin regardless of which type you are using – the crunchy crust is so good you won’t even miss the crispy skin! 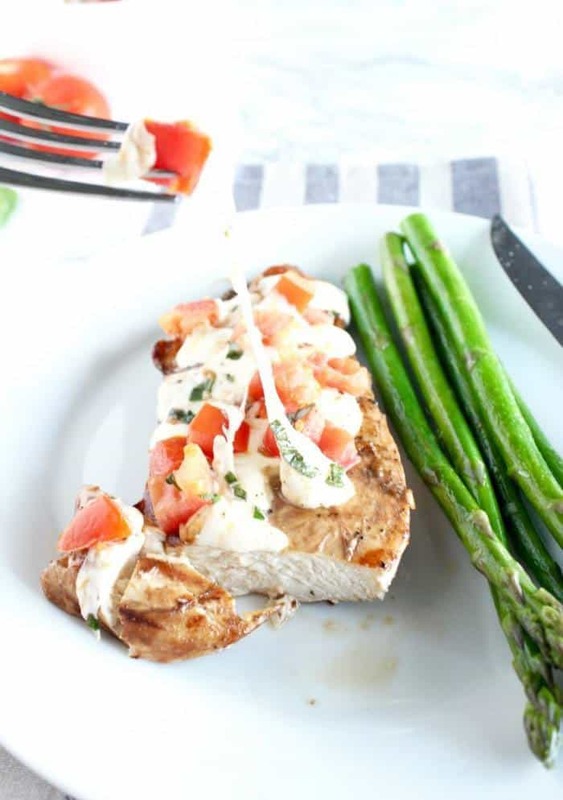 For a quick and healthy dinner, you can’t beat Bruschetta Chicken! Fresh tomatoes, basil, and mozzarella cheese on a balsamic marinated chicken are so delicious and easy to make for any night of the week. Take all the flavors we know and love from buffalo chicken wings and make it into a savory dip your guests will enjoy. Hot sauce, chicken, and bleu cheese…it’s all there. Serve with tortilla chips or carrot and celery sticks. Either way, it is sure to be a hit. My Boys and Their Toys has a twist on a classic chicken alfredo recipe. 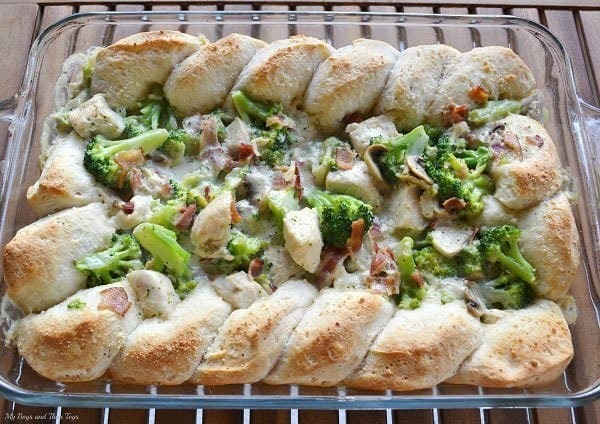 This alfredo bake includes bacon, mushrooms, and biscuits. If you’re looking for a delicious recipe the entire family will love, be sure to grab this recipe. Everybody needs a few new easy-to-prepare weeknight dishes like this Asian-Inspired Baked Chicken, a family favorite in our house. Pick up a package of boneless chicken thighs and the ingredients for a nice salad, and you can have a fantastic dinner on the table in about an hour. We love cooking with cast iron here! This delicious dish was another cast iron success! The beautiful thing about cooking like this is you can season and prepare your whole meal, meat, potatoes and veggies in one skillet. Try different vegetables and seasonings. It would be delicious with homemade cornbread. Go ahead and try something new, experimenting is part of the fun! The only thing left to do is decide what you want for dessert! A lightly fried chicken, baked in a delicious, made from scratch sweet and sour sauce, packed with bell peppers and pineapples. This week-night dish would inevitably become a weekly addition to your mealtime menu. 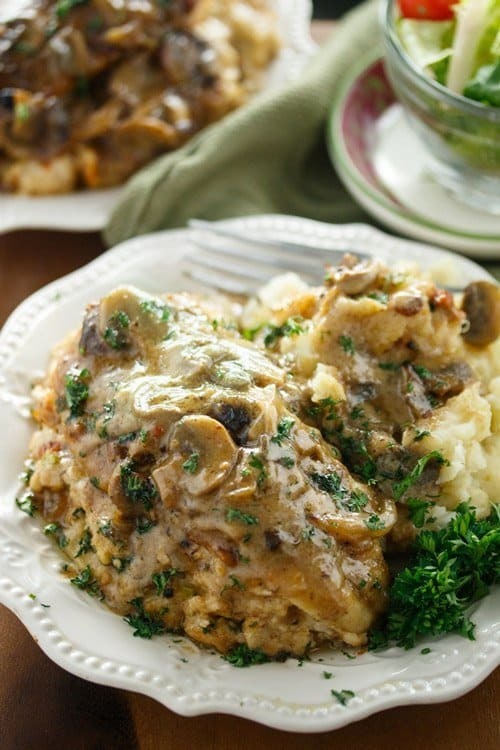 An easy weeknight casserole, Chicken Lombardy has the cheesy flavor everyone loves. 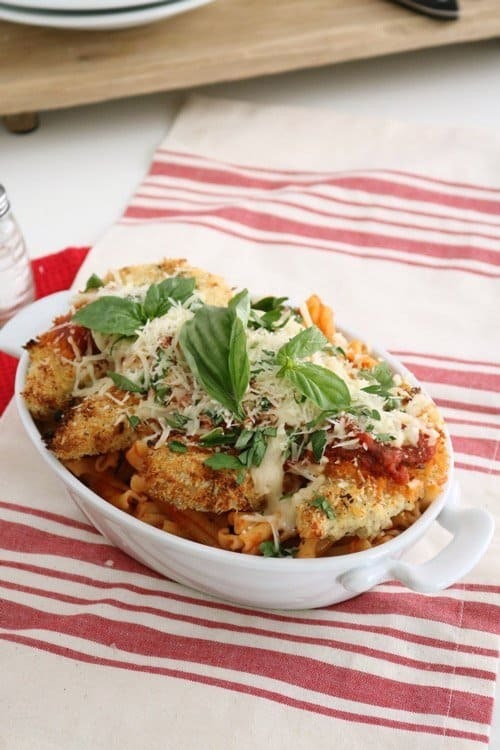 Breaded chicken breasts with pasta sauce and Parmesan cheese baked in an oven. 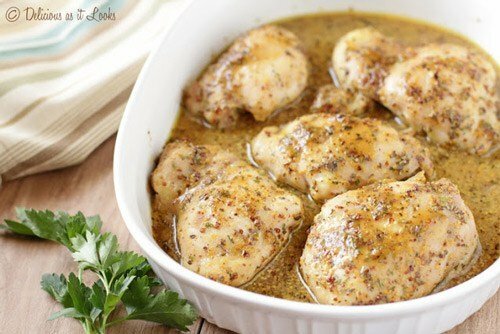 Straightforward and tasty chicken breast recipe. Easy Baked Tandoori Chicken is very moist and flavorful, and a breeze to make for a tasty weeknight supper. 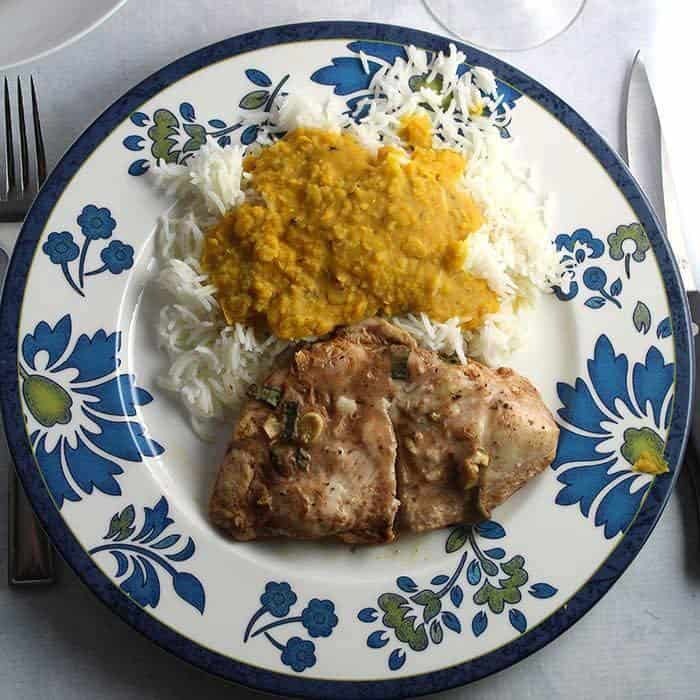 The chicken briefly marinates in yogurt with Indian spices to provide delicious flavor. The recipe calls for boneless chicken breasts with a variation using chicken thighs. 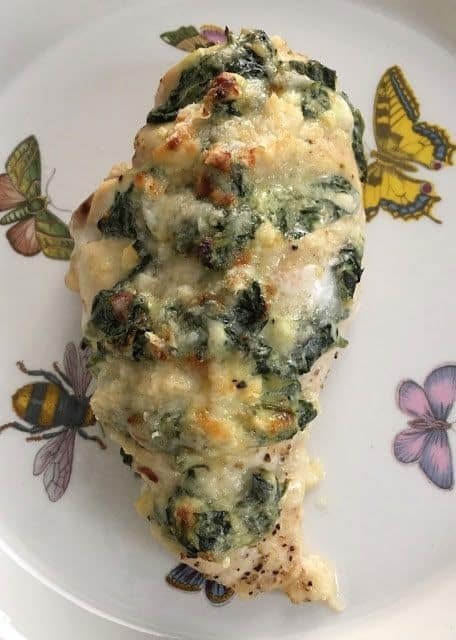 I never used to get excited about cooking chicken, but that all changed when I first made my spinach & four cheese Hasselback chicken. I was amazed at how much flavor this dish had from the garlic, black pepper, red pepper flakes and four kinds of cheese, and the chicken was incredibly tender. Without a doubt, this is the best chicken recipe I have ever made, and my whole family loves it. 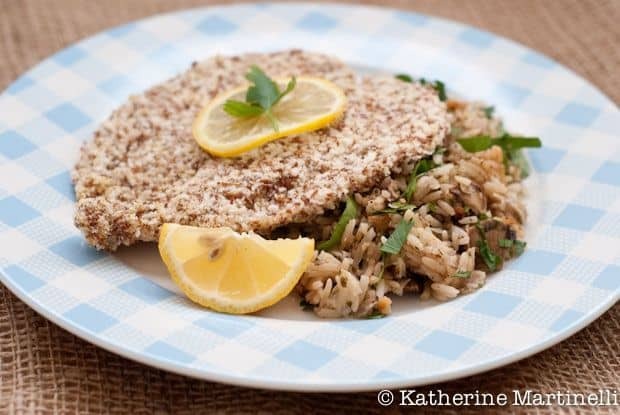 This baked flaxseed chicken recipe is incredibly quick and easy to make, and about as healthy as it gets. Plus it’s so versatile! Serve it warm or cold, with rice, potatoes, or on a salad. Plus they make killer chicken fingers that even the pickiest eaters will enjoy. Spaghetti is a classic recipe that most of us grew up on. 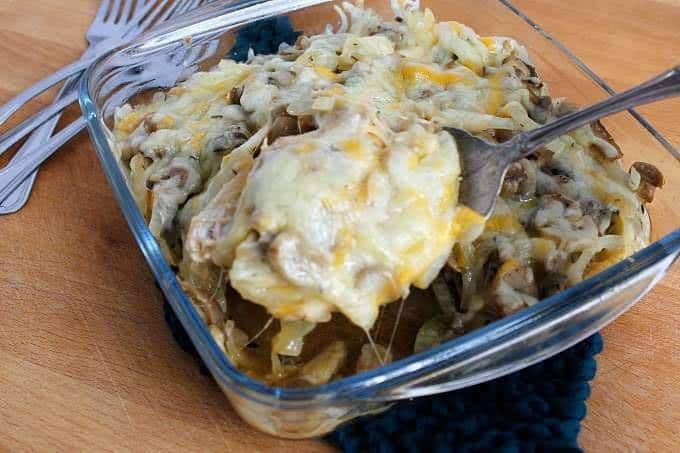 Now you can take it up to a new level with Baked Chicken Spaghetti. This dish is the perfect creamy comfort food. It is a recipe the entire family will enjoy. 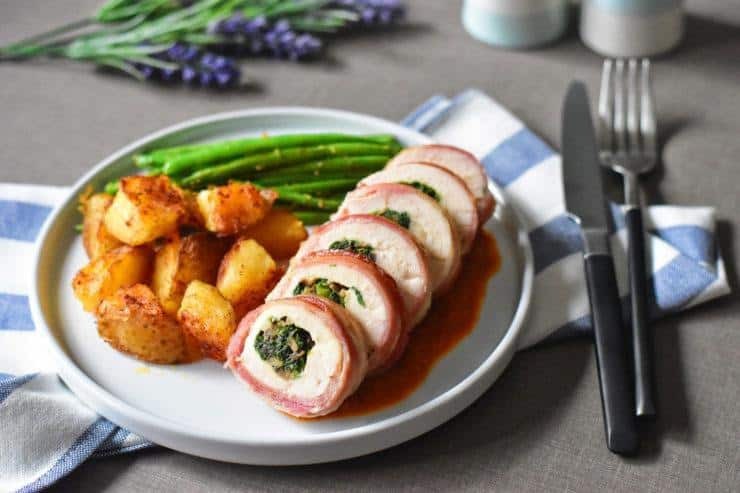 Chicken breasts pocket filled with herbs and garlic and wrapped in bacon, a hearty and aromatic dish fit for a casual family meal or a fancier evening with guests. 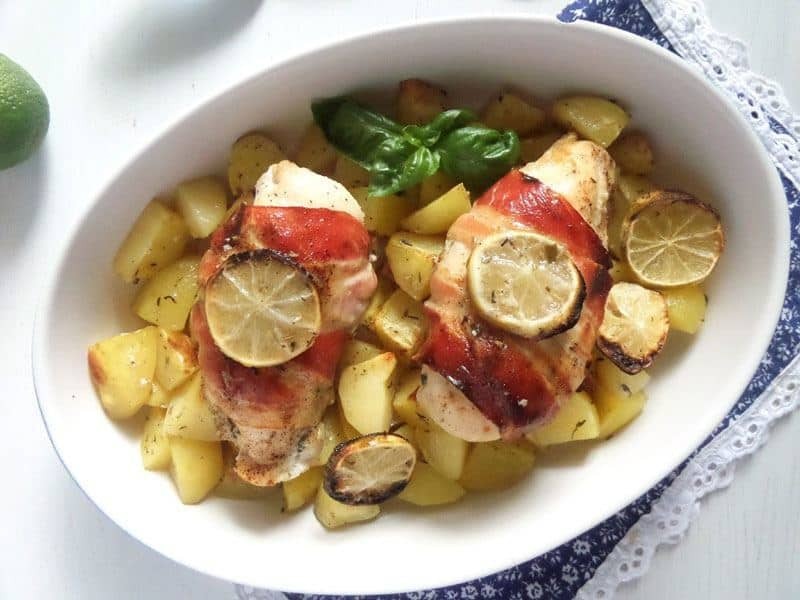 Bake the chicken on top of potatoes, and you will have a quick yet impressive looking, healthy yet delicious one-pot dish. Comfort food at its finest! 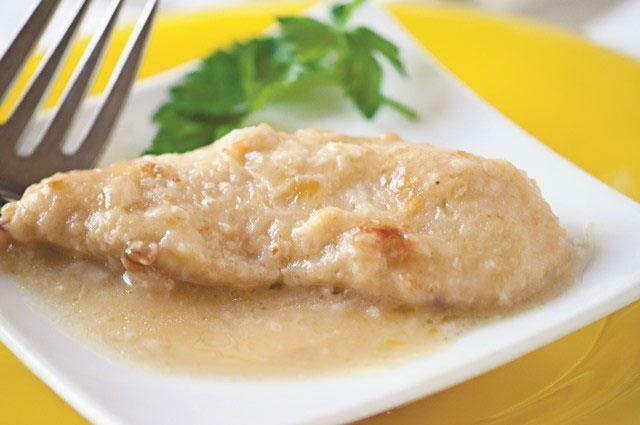 Simple Baked Chicken is rich in protein and smothered with a savory gravy that tastes like mouth-watering chicken soup. Bisquick and four other ingredients you probably already have stocked in your pantry make a very comforting tender baked chicken dinner. Be sure to serve with rice to soak up the delicious gravy. Moist, tender, and flavorful, these chicken drumsticks are incredibly easy to make and will delight your taste buds with a variety of flavors! The secret ingredient makes this chicken especially delicious, and the simple baking directions are foolproof! 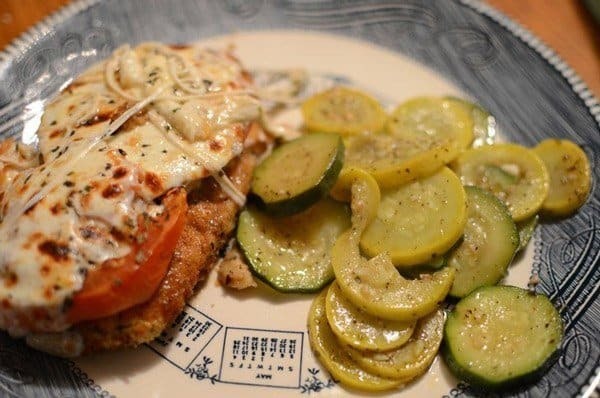 Erin from WellPlated.com discovered the real deal baked chicken recently when she tried it in Tennessee. Even though making baked chicken this way involves some planning and mess while coating, the outcome outweighs the effort significantly. Let’s say that you’ll look at the crunchy cornflakes differently after you try this one. Ronda from KitchenDreaming.com is all about quick and efficient preparing of delightful meals, and this recipe is for her go-to dish when it’s girls’ night. The process is quite straightforward and involves cheese, chicken breasts, pasta, and various seasoning. Italian seasoning blend and the marinara sauce make the pasta perfect, and you top that with the chicken and melted cheese. Yum! Marinating chicken in various ingredients brings the new dimension of cooking and taste to the ordinary meal. 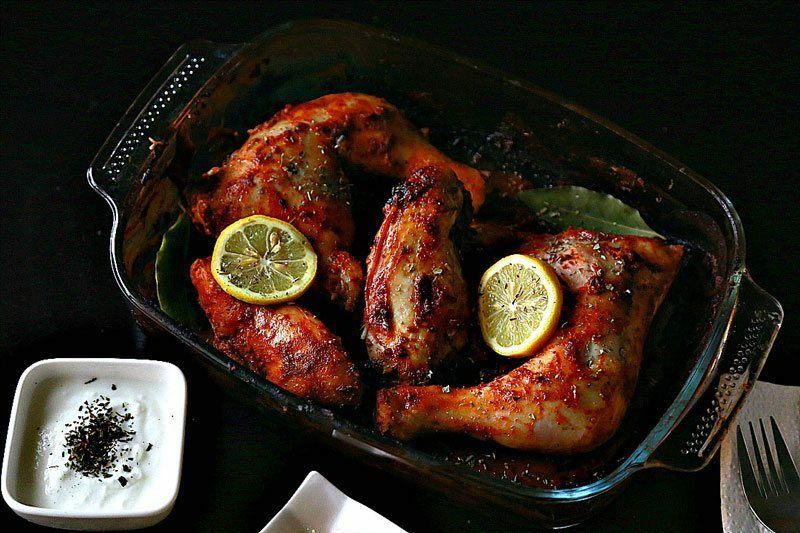 The secret behind this splendid recipe is white wine and lemon juice, in which the chicken is marinated. Reaching new heights with recipes and meals is sometimes achieved with techniques, sometimes with ingredients, sometimes with spices. 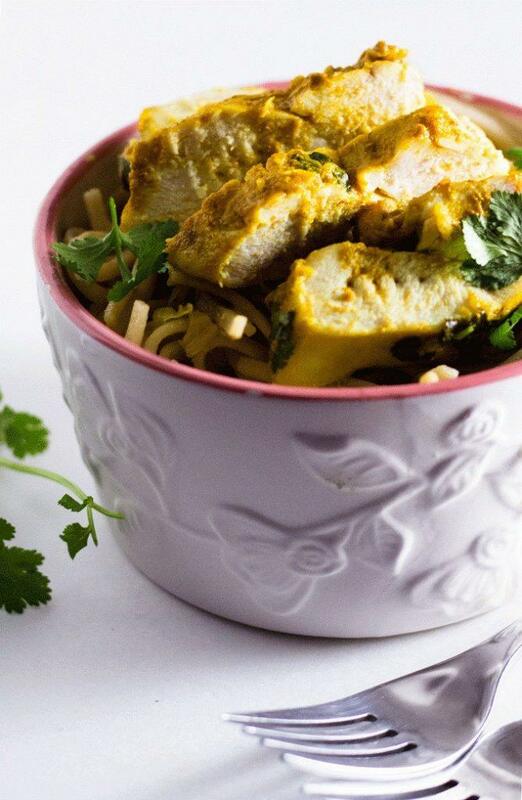 This recipe from LivingTheGourmet brings the spirit of Asia in our kitchens and delivers fantastic taste thanks to Pereg Zahtar Spice Mix. With a simple preparation method and these spices, the chicken will never be the same. Cutting down the cooking time without sacrificing on flavor or quality. That’s the motto of April, the proud mother of four (yup, she’s a superwoman), and author of MamaLovesFood. She simplifies things and utilizes containers and freezer for maximum efficiency. Simplicity is sometimes good. Chicken is great with pasta. There are hundreds of possible combinations and utilization of the quality spaghetti complements the baked chicken very well. 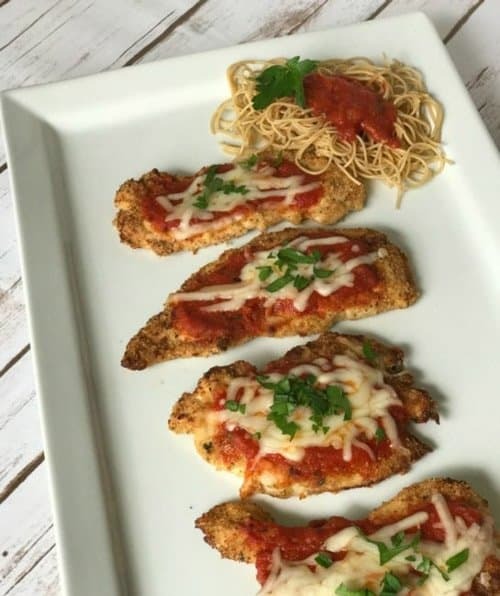 Patty from NoGuiltLife trusts Barilla, and uses their “Better For You” product line (full grain or integral spaghetti are both tasty and healthy), and adds some cheese, to pair with perfectly baked chicken breasts. You can’t miss this one. Irena from EatDrinkPaleo knows a thing or two about healthy food. 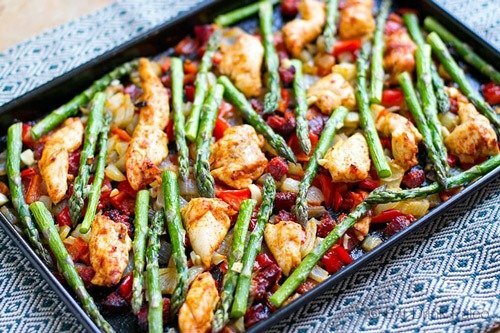 In this great-looking recipe, she uses one pan to bake chicken and asparagus together and adds chorizo sausage, olive oil, garlic, and paprika to finalize the aroma and taste with the spices. This meal takes about 30 minutes, and it looks and tastes fantastic. If you love a fresh Caprese salad, you will love this recipe. It has the perfect mix of sweet and savory flavors and is an excellent year round. Serve it with a side salad or steamed veggies! These delicious Baked Sweet and Spicy Chicken Breasts are super comfortable and perfect for any night of the week. With only seven ingredients and a short 30 minutes from start to finish, you’ll have dinner on the table in no time. These Pesto Prosciutto Chicken Breasts are the perfect way to use up all of your summertime basil with a flavor-packed roasted garlic pesto that perfectly complements the salty prosciutto and juicy chicken. Best of all – it is easy to prepare for a weeknight but also looks fancy enough for any dinner party! Fast and easy, low carb and gluten-free. Dress a chicken breast with all the trimmings of a pepperoni pizza, bake it in the oven with tomato sauce, and it’s ready in a flash! Steam some vegetables while it’s in the oven to make a quick, balanced meal. Chicken breasts, legs, and thighs pan-roasted & herb butter-basted, then served atop roasted sweet potatoes and drizzled with a natural (but delicious) cream, white wine & shallot pan sauce. It’s surprisingly easy to make stuffed chicken. This simple recipe with spinach, tomatoes, and cheese feeling is naturally low carb and gluten-free. 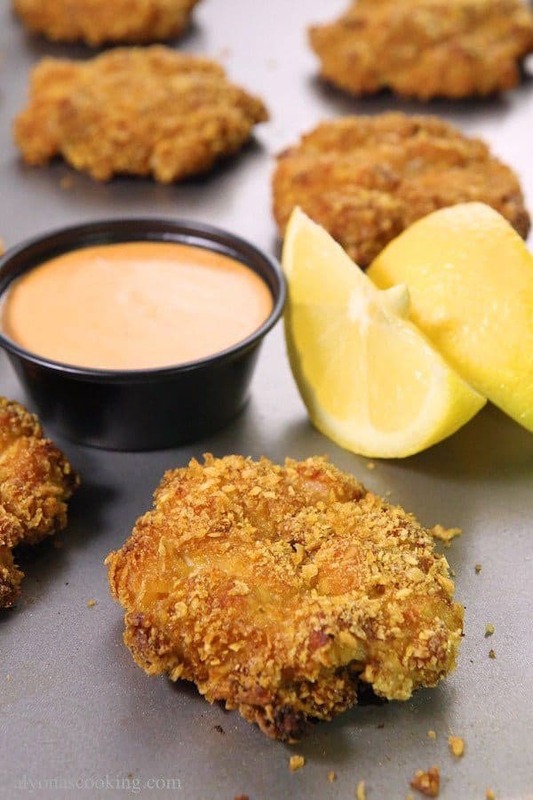 I was inspired to create a “baked” version of chicken fritters as I came across some “fried” recipes. Frying takes additional work and requires more clean up versus just prepping and baking the pancakes. I used crushed cornflakes for the crumbs, but perhaps flour or panko crumbs can be used as an alternative. Moist and delicious parcels of chicken, honey, and turmeric wrapped in parchment paper and baked to perfection. Serve up with some brown rice and steamed veg for the perfect weeknight dish with minimal clean up required. Chicken breast is one of the most versatile ingredients out there making it also awesomely frugal and menu friendly. 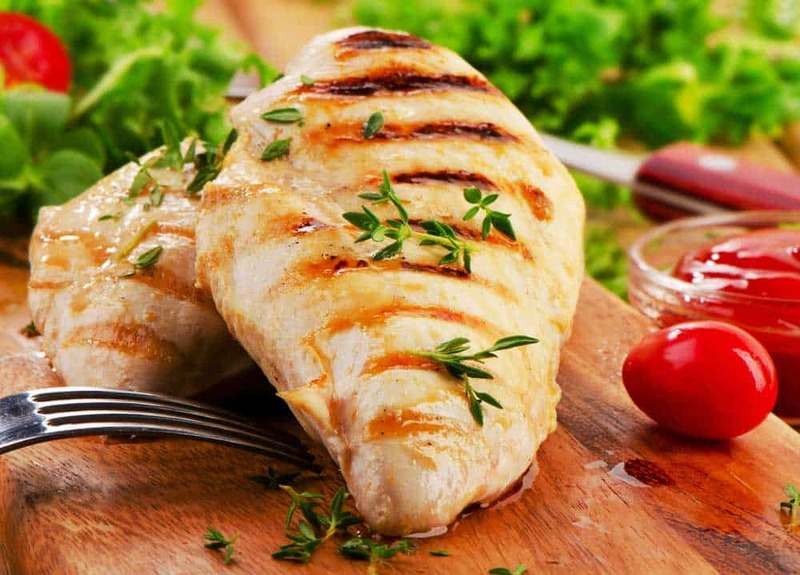 This recipe will show you how to cook chicken breast that will always be juicy, moist and flavorful. It’s a straightforward method that, if followed exactly as instructed, will still render you perfect results. Guaranteed! 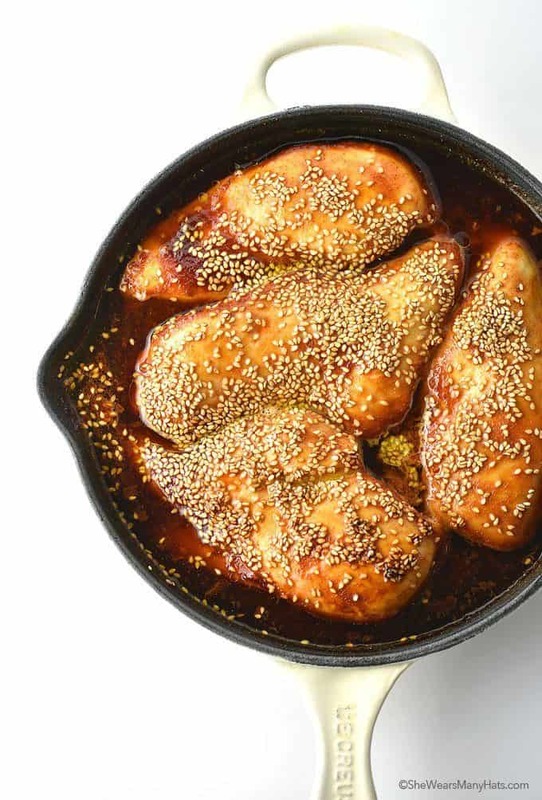 This honey sesame baked chicken is not your average, run of the mill baked chicken recipe. 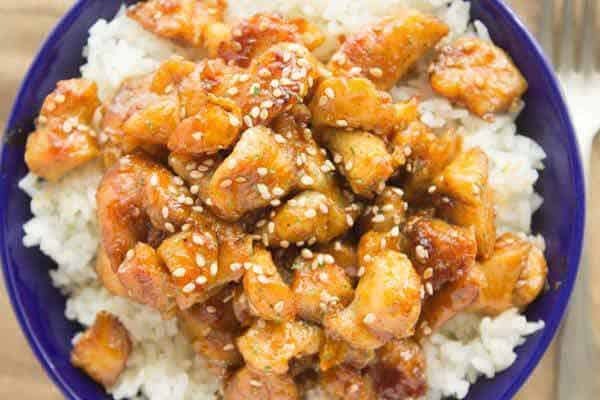 There are a lot of unique flavors added to the chicken itself as well as to the delicious sauce that make this recipe stand out. 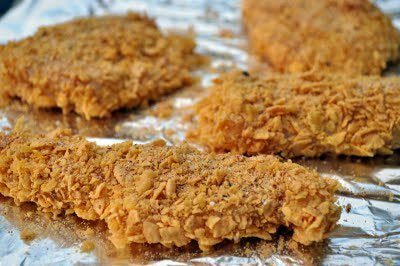 The chicken is crusted in bread crumbs and also almond meal before being baked giving a sweet, nutty flavor to the meat. 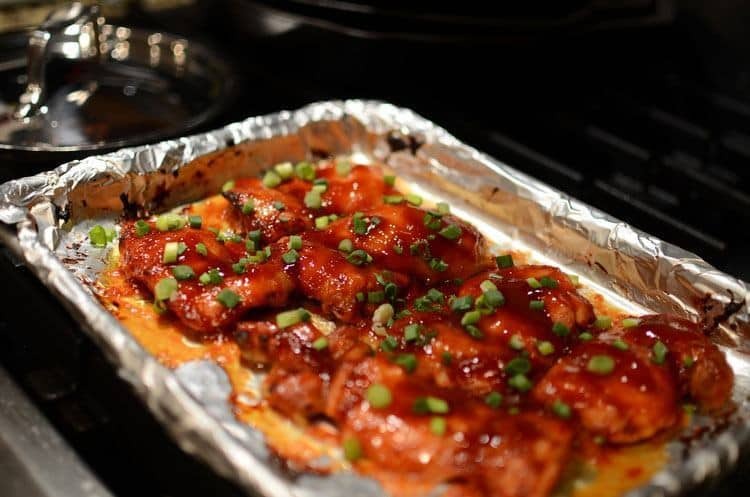 Honey, soy sauce, and sriracha are all cooked together to make a beautiful thick sauce that is sweet, spicy and salty- such a fantastic combination! Make this recipe for any guests, and they are sure to ask you how you baked so many layers of flavor into this chicken. This chicken is the perfect dish for a weeknight meal. Just toss the ingredients together and bake! The sweet and salty combination of this tender chicken will melt in your mouth. 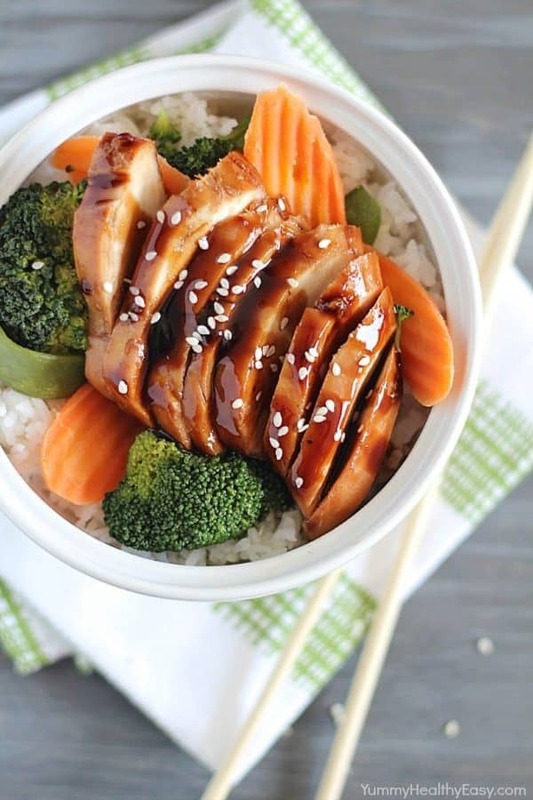 These delicious Chicken Teriyaki Bowls are filled with flavorful chicken that’s baked in a homemade teriyaki sauce then layered on top of a bed of rice and vegetables. This easy chicken dinner will quickly become a family favorite! 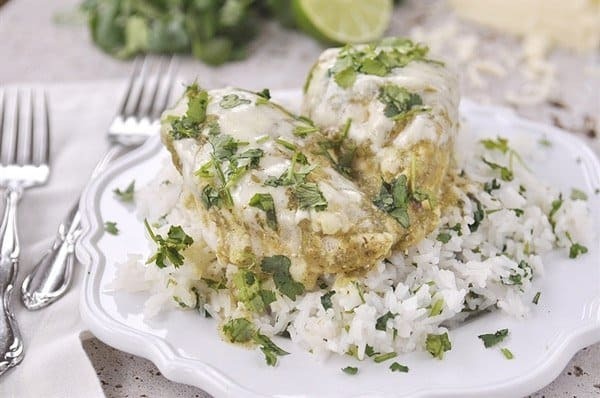 Salsa Verde Chicken only has four ingredients, and it comes together so quick and easy! Dinner in 30 minutes. 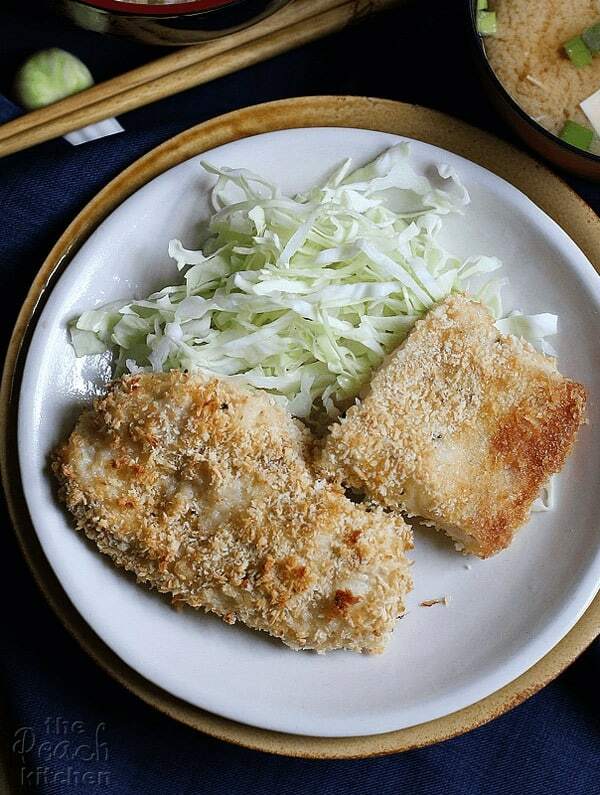 Elevate your katsu experience at home with this Chicken and Fish Katsu! 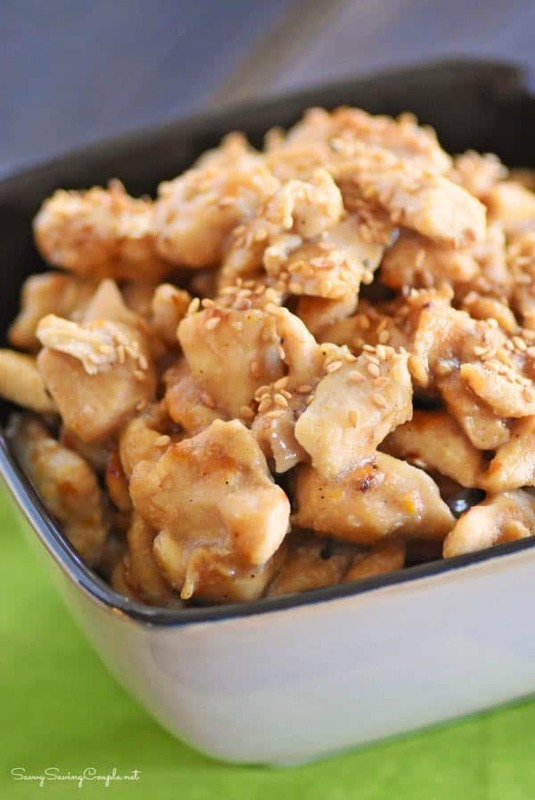 It’s a healthier take on the classic Japanese recipe because it is baked and combines the combination of chicken and fish. It is lightly breaded, and no oil was used yet the full flavor and crispness are still there. Smother this in tasty tonkatsu sauce and pair with a good miso soup and cabbage salad, and you’ll surely satisfy your Japanese cravings. This is an easy but elegant baked chicken breast recipe! The chicken is moist, wrapped entirely in bacon. And the flavor is impressive! This CREAMY SPINACH STUFFED PIMENTO CHEESE CHICKEN is a perfect southern storm of chicken, pimento cheese, spinach, and garlic. 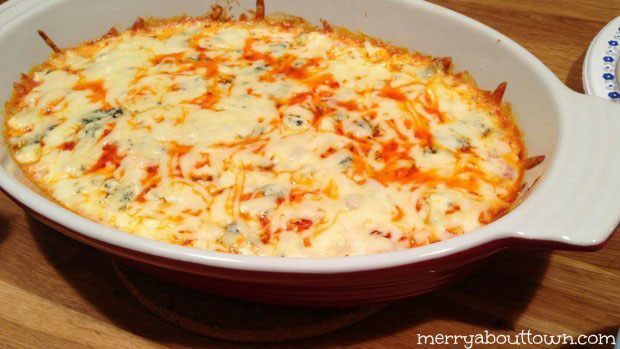 It is creamy, smooth, smoky, cheesy, garlicky and oh so perfect! Beautiful too! And… BACON! What more needs to be said? This Whole30 compliant recipe has won the likes of many friends and family. Chicken breast stuffed with sautéed mushroom and kale, then encased within strips of smoky bacon before roasting in the oven. It is served with homemade roasted curried red pepper sauce for a little extra kick. Ultra crispy baked potatoes and sautéed baby beans on the side means bonus recipes. Worth all that effort put into making this delectable meal! 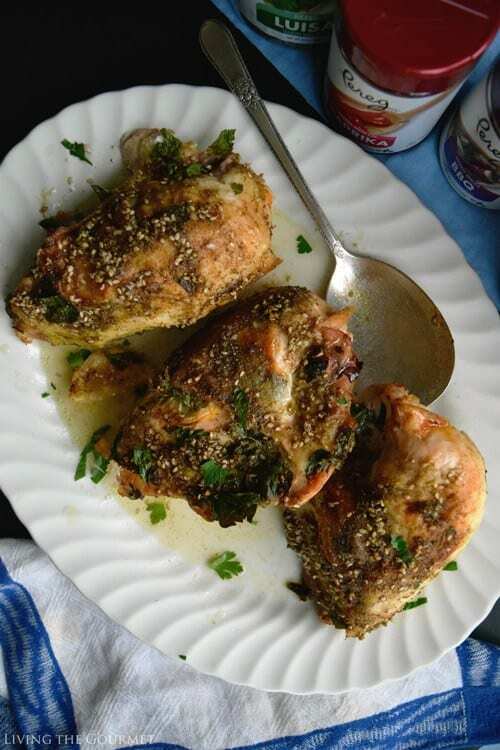 This is a natural, healthy baked chicken dish, that is juicy, and bursting with middle eastern flavors. It’s packed with protein and nutrients and gluten-free too! This dish is perfect for any holiday celebration! 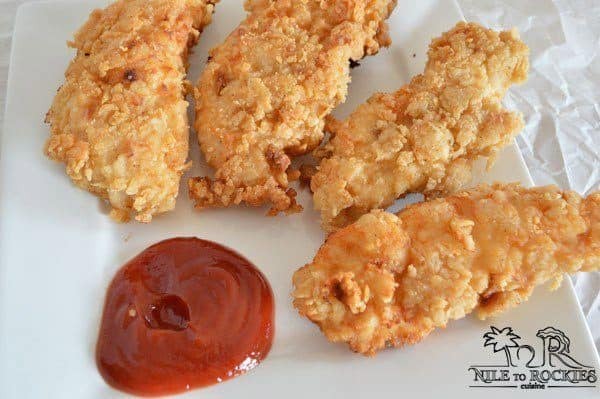 Oven baked chicken tenders, crunchy, buttery and so juicy. My family enjoyed these VERY much!. 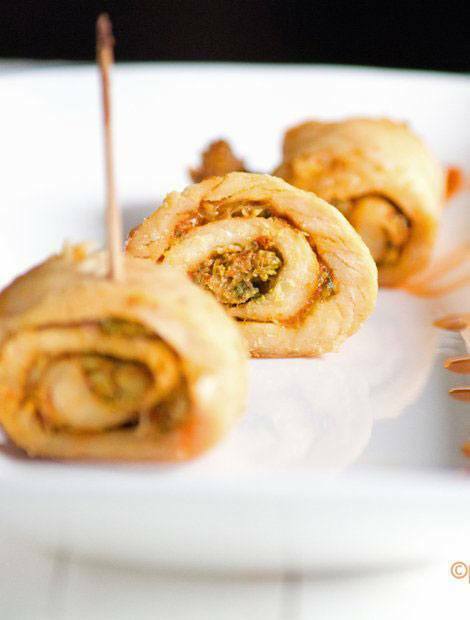 These are just plain delicious as either an entree or an appetizer, a total crowd pleaser. 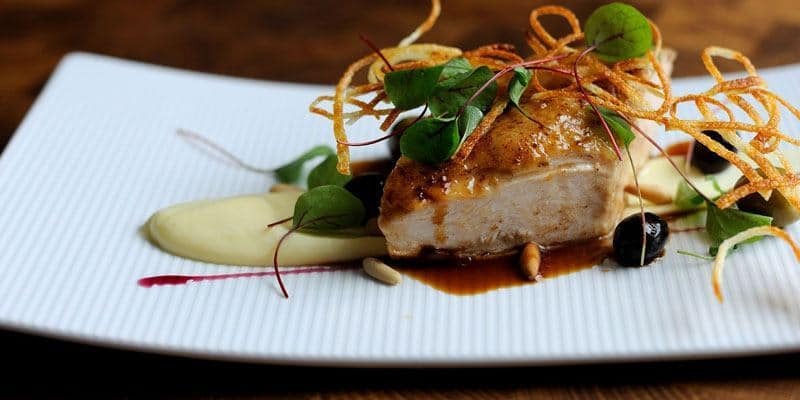 When the chicken is stuffed with delight and prepared this way, meals that come as result of this method are out of this world. This time, Stephanie from TheCozyCook called it “Copycat” because she got it from Olive Garden. 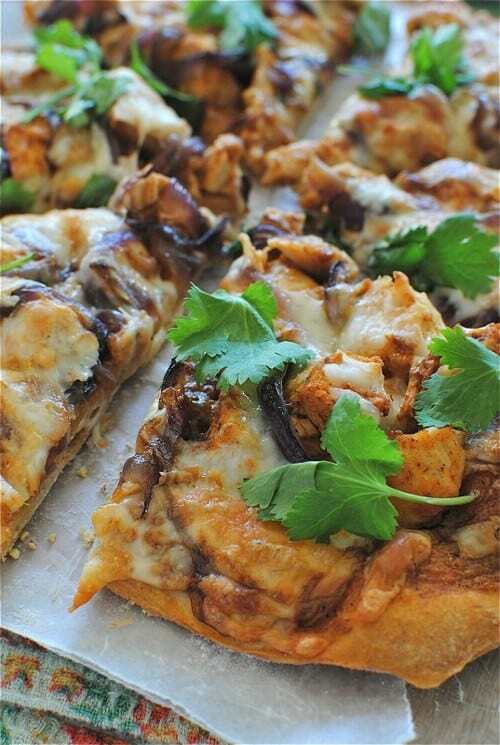 The abundance of cheese and spices bring out the jolt of luscious creaminess when tasted. Please, please… Try this recipe! Sometimes the best results come from the most straightforward recipes. 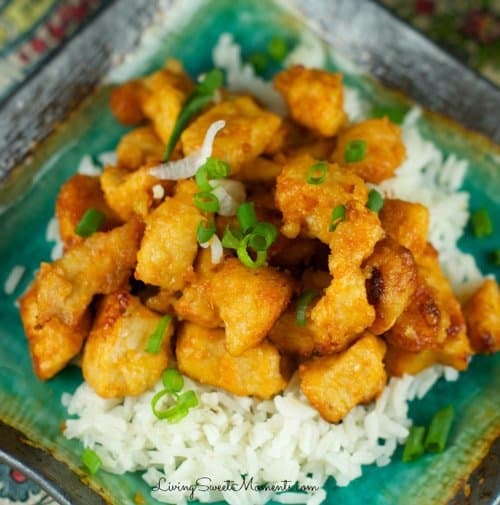 Tiffany from LivingSweetMoments utilizes cornstarch to give the chicken that crunch on the outside, and pairs it with the lovely sweet-sour sauce. Asian food doesn’t have to come from your friendly neighbor Asian restaurant, on delivery. You can make it easy sweet and sour. We have to quote the intro from Bev’s fantastic post and recipe since it is so great:”This is a warning. The ingredients you are about to read may cause the following side effects: extreme weeping, sudden heart palpitations, tongue shock, blurry vision, then wholly going blind, loss of hearing, dizziness, loss of consciousness, regained consciousness, only to be struck with an intense desire to climb onto your rooftop and sing to your neighbors, doing the twist and shout, and running down the street in a hot pink tutu and glitter Go-Go boots.”The image speaks for itself. Try this recipe ASAP. Thank us (and Bev) later. 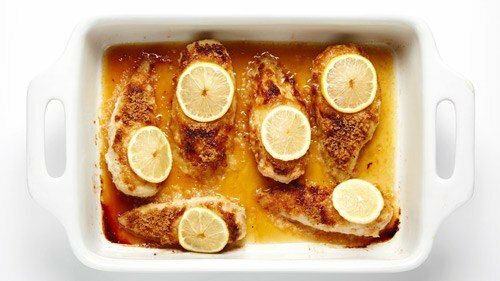 Sweet honey is balanced out by a zesty kick of lime with this healthy alternative to fried chicken. Baked with a touch of ginger and soy sauce, it is an Asian-inspired delight. Best paired with steamed vegetables to add a little crunch! 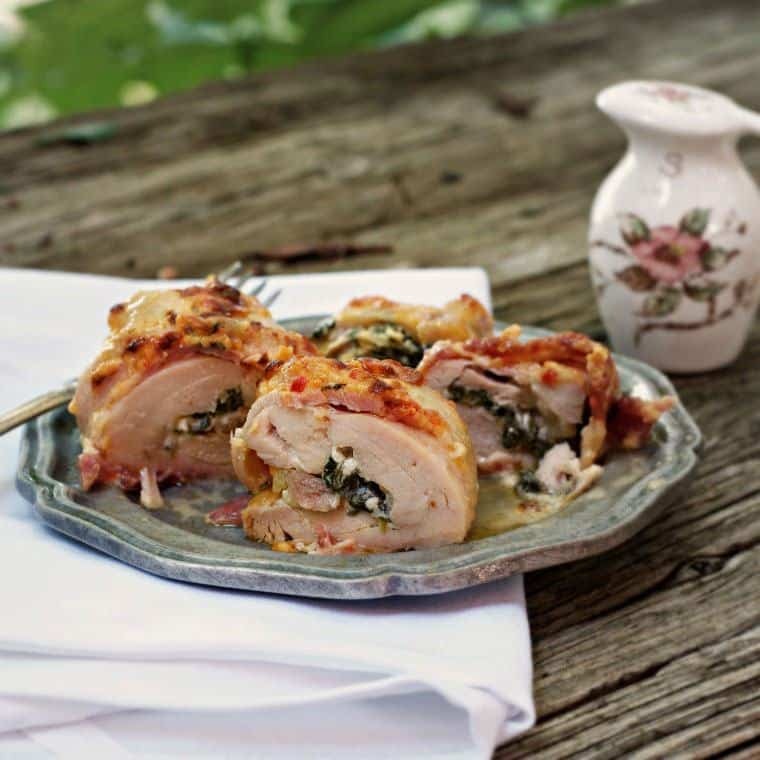 If you’re looking for a quick and simple recipe that is sure to impress your dinner guests, try this natural stuffed chicken wrapped in prosciutto. The recipe is by Michelle at Keep Calm Get Organised. It will be a winner with the whole family. 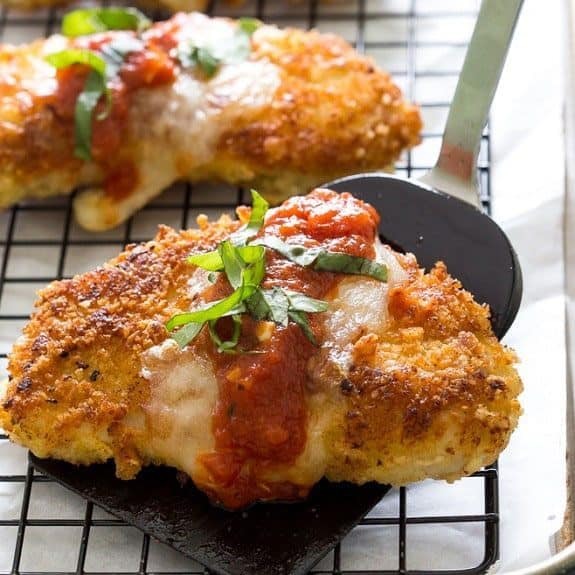 Breaded chicken breasts with pasta sauce and Parmesan cheese baked in an oven.Straightforward and tasty chicken breast recipe. Reaching new heights with recipes and meals are sometimes achieved with techniques, sometimes with ingredients, sometimes with spices. Fresh tomatoes, basil, and mozzarella cheese on a balsamic marinated chicken is so delicious and easy to make for any night of the week. 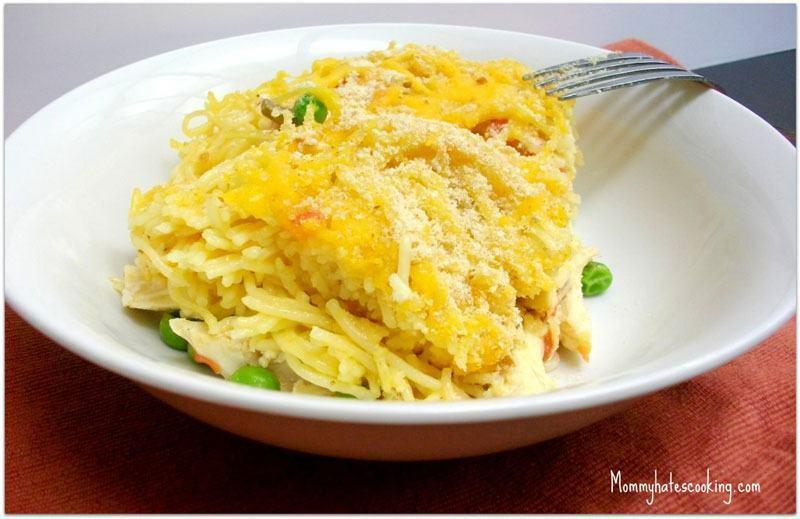 This week-night dish would surely become a weekly addition to your mealtime menu. 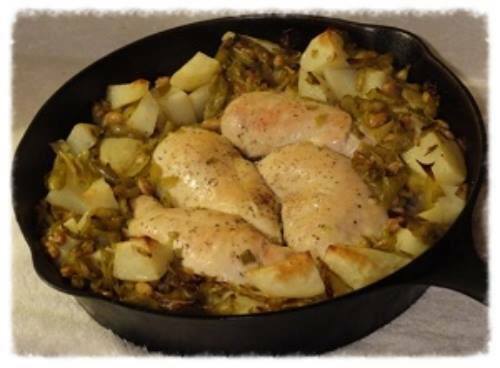 Bake the chicken on top of potatoes and you will have a quick yet impressive looking, healthy yet delicious one-pot dish. 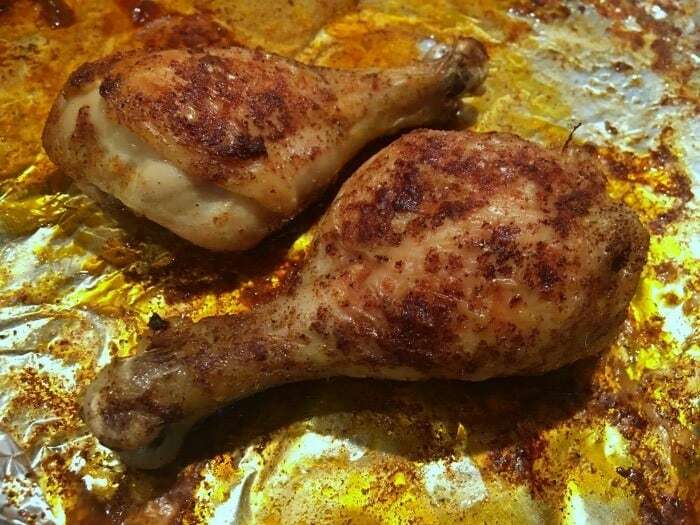 Moist, tender, and flavorful, these chicken drumsticks are incredibly easy to make and will delight your tastebuds with a variety of flavors! The process is quite straightforward, and involves cheese, chicken breasts, pasta, and various seasoning. Sometimes the best results come from the simplest recipes. 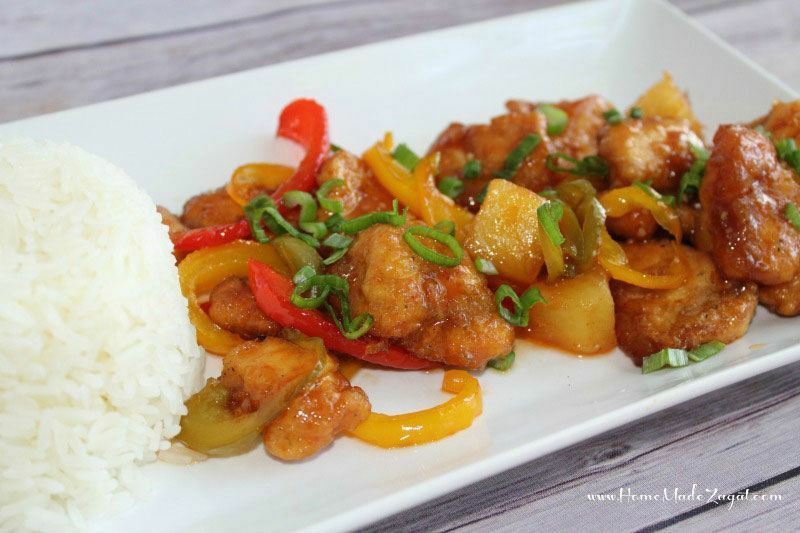 Tiffany from LivingSweetMoments utilizes cornstarch to give the chicken that crunch on the outside, and pairs it with the lovely sweet-sour sauce. Fast and easy, low carb and gluten free. 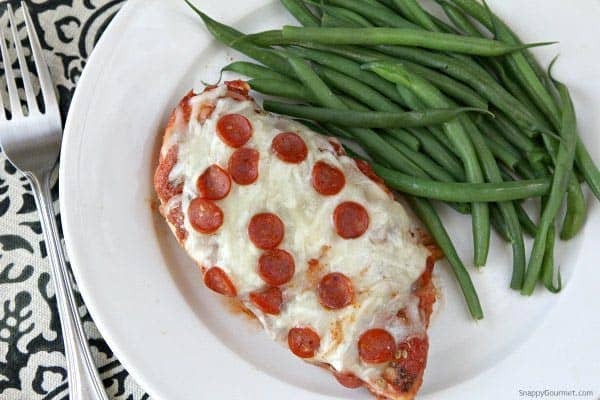 Dress a chicken breast with all the trimmings of a pepperoni pizza, bake it in the oven with tomato sauce, and it’s ready in a flash! Chicken breasts, legs, and thighs pan-roasted & herb butter-basted, then served atop roasted sweet potatoes and drizzled with an easy (but delicious) cream, white wine & shallot pan sauce. It’s surprisingly easy to make stuffed chicken. This simple recipe with spinach, tomatoes, and cheese feeling is naturally low carb and gluten free. 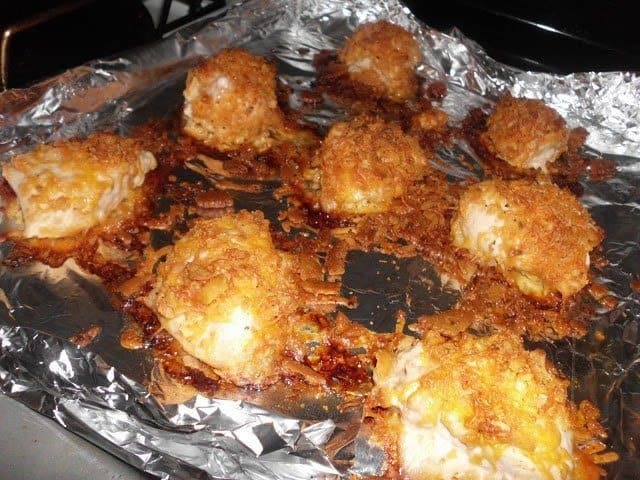 I was inspired to create a “baked” version of chicken fritters as I came across some “fried” recipes. Frying takes additional work and requires more clean up versus just prepping and baking the fritters. I used crushed cornflakes for the crumbs but perhaps flour or panko crumbs can be used as an alternative. Moist and delicious parcels of chicken, honey and turmeric wrapped in parchment paper and baked to perfection. 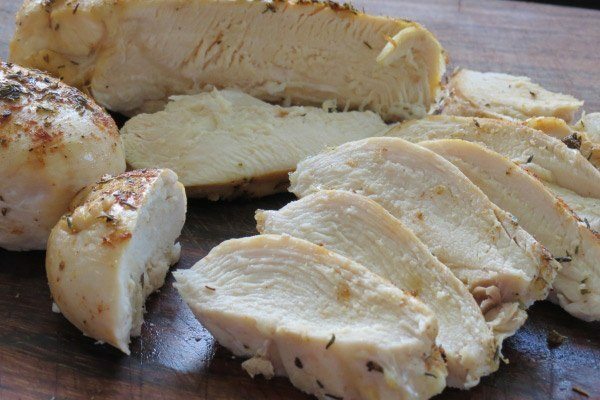 This recipe will show you how to cook chicken breast that will always be juicy, moist and flavorful. It’s a very simple method that, if followed exactly as instructed, will always render you perfect results. Guaranteed! 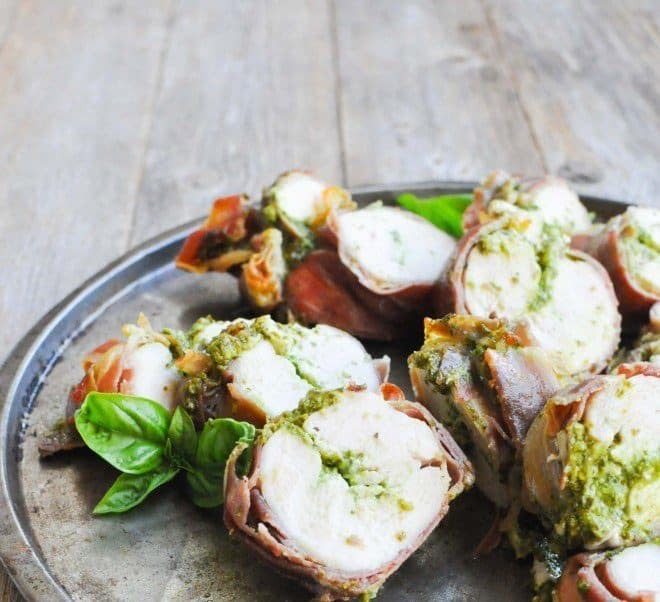 If you’re looking for a quick and simple recipe that is sure to impress your dinner guests, try this easy stuffed chicken wrapped in prosciutto. It is lightly breaded and no oil was used yet the full flavor and crispness is still there. Smother this in tasty tonkatsu sauce and pair with with a good miso soup and cabbage salad and you’ll surely satisfy your japanese cravings. This CREAMY SPINACH STUFFED PIMENTO CHEESE CHICKEN is a southern perfect storm of chicken, pimento cheese, spinach and garlic. We love cooking with cast iron here! This delicious dish was another cast iron success! The wonderful thing about cooking like this is you can season and cook your whole meal, meat, potatoes and veggies in one skillet. Try different vegetables and seasonings. It would be delicious with homemade corn bread. Go ahead and try something new, experimenting is part of the fun! The only thing left to do is decide what you want for dessert! 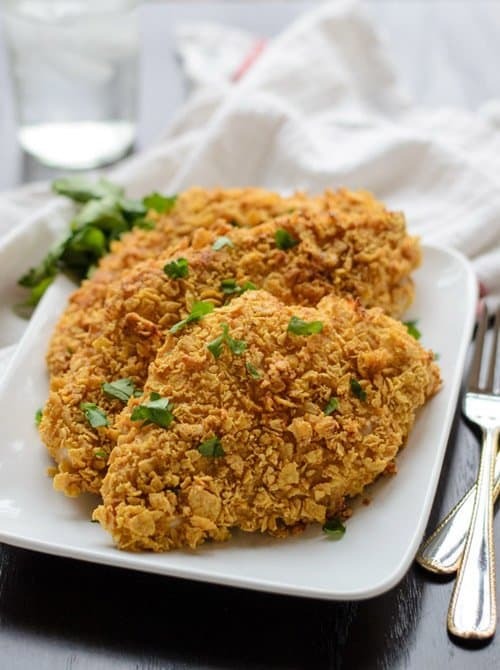 Bisquick and four other ingredients you probably already have stocked in your pantry makes a very comforting tender baked chicken dinner. Be sure to serve with rice to soak up the delicious gravy. This is an easy healthy baked chicken dish, that is juicy, and bursting with middle eastern flavors. It’s packed with protein and nutrients and gluten free too! This dish is perfect for any holiday celebration! Erin from WellPlated.com discovered the real deal baked chicken recently, when she tried it in Tennessee. Even though making baked chicken this way involves some planning and mess while coating, the final outcome outweighs the effort significantly. Let’s say that you’ll look at the crunchy corn flakes differently after you try this one. The ingredients you are about to read may cause the following side effects: extreme weeping, sudden heart palpitations, tongue shock, blurry vision, then completely going blind, loss of hearing, dizziness, loss of consciousness, regained consciousness, only to be struck with an intense desire to climb onto your rooftop and sing to your neighbors, doing the twist and shout, and running down the street in a hot pink tutu and glitter Go Go boots.”The image speaks for itself. These Pesto Prosciutto Chicken Breasts are the perfect way to use up all of your summer time basil with a flavor-packed roasted garlic pesto that perfectly complements the salty prosciutto and juicy chicken. 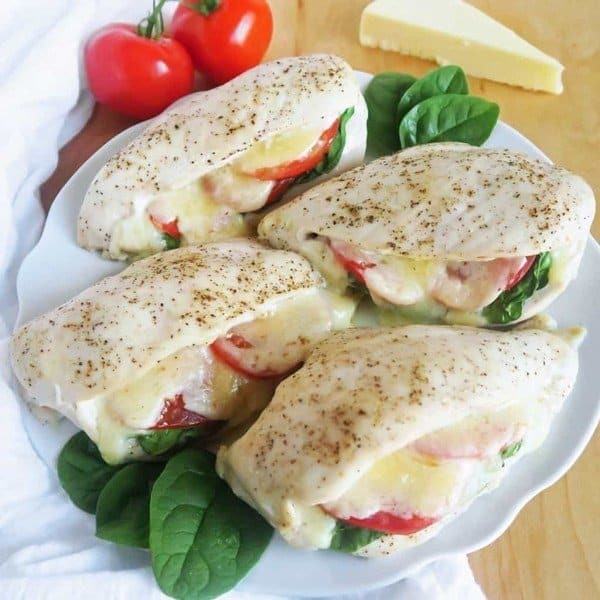 This is an easy but elegant baked chicken breast recipe! The chicken is moist, wrapped perfectly in a bacon. And the flavor is impressive! Now that you have read through the recipes that we have shared, we sure hope that you can try it and share it with your family and friends. A great dish is not meant to be kept in secret anyway but is ought to be shared. There are numerous more dishes that you can find when it comes to baked chicken breast. In fact, you can also come up with your own version of it. There is no limit to the imagination as they say and it goes the same when it comes to food. With creativity and a sense of adventure, a simple baked chicken breast dish can evolve into many ways. Adding new flavors, learning new tips on how to cook and many others contribute to the discovery of these amazing dishes. Customizing traditional dishes is the best way of knowing what works best for you and for the people you cook it for. Did you enjoy reading through the recipes we have shared with you? Were you able to learn something new out of this article? Which one of these recipes do you find most interesting? Will you give these dishes a try and share it with your family and friends? Here are some of the Best Popcorn Kernels we recommend you to check out. Do you have any ideas or suggestions you feel that we should add to this article? If you have feedbacks, let us know by leaving a comment below. Until then we hope that you will try one of our recipes. Stay happy and healthy! chewtheworld.com is a participant in the amazon services llc associates program, an affiliate advertising program designed to provide a means for sites to earn advertising fees by advertising and linking to amazon.com. amazon, the amazon logo, amazonsupply, and the amazonsupply logo are trademarks of amazon.com, inc. or its affiliates.